I am currently in my 38 weeks of pregnancy. On Saturday, I will be 39 weeks. I am hoping the day after that I will give birth na to my baby boy. My pregnancy was mostly an enjoyable, symptom-free except a very short stint of lethargy during my 6weeks to 8weeks pregnancy. However, I didn’t know that a bad bad pregnancy skin rash would visit and disturb my happy prepartum state in my third trimester. The skin rash is called PUPPS. It means Pruritic Urticarial Papules and Plaques of Pregnancy (that is mouthful!). It is just not an ordinary skin rash that will itch a bit. Its itchiness is like a curse. You would like to scratch your skin off until it bleeds. Some say that it is something that you wouldn’t even wish your enemies to have. It is very unsightly too. Those who have suffered this horrible condition will really sympathise with you because she would know how difficult and bad it is. Even the most patient and tolerant person will complain of this rash. Here is a link if you are interested in how PUPPS look like: Images of PUPPS. It is not pretty picture. You have been warned. PUPPS is a skin condition that is often affecting pregnant women who is carrying male babies. They say it is the male hormones of the baby interacting with the mommy. Good news though this condition will not have any dangerous effect on the baby or mommy (just insane itchiness for mommy). Bad news is that the only cure is delivery of the baby. Some even had themselves induced to labor early because of this. I was afflicted by PUPPS in my 35 weeks of pregnancy but even just one day of it had me crying my eyes out. I couldn’t sleep, clothes that touches my skin makes it more itchy and painful, scratching makes it worst and if I do scratch with fingers or any course object, I have to dig into my skin so hard it bleeds. I was left with bleeding, dry, coarse scabs and dark spots. The rash looks like hybrid of chicken pox, shingles and heat rash. But I wouldn’t allow to make my last few weeks of pregnancy miserable. I researched and I even asked the help of my medical school classmate who is now a renown Doctor in Alternative Medicine in Iloilo City for her expert advice. I found out to how to manage this evil skin rash. So to those suffering from this condition, I hope these will help. But seek your OB-Gyne doctor’s consent and advice first before trying these out. 1. Upon waking up, I drink a glass of lukewarm water with squeezed lemon juice. This will cleanse your system. 2.I drink one glass of vegetable juice twice a day, preferable the V8 juice. Unfortunately, I couldn’t find V8 juice here in Iloilo, I make do of vegetable juices in the supermart. Juicing or making smoothies can also be a good alternative. 3. 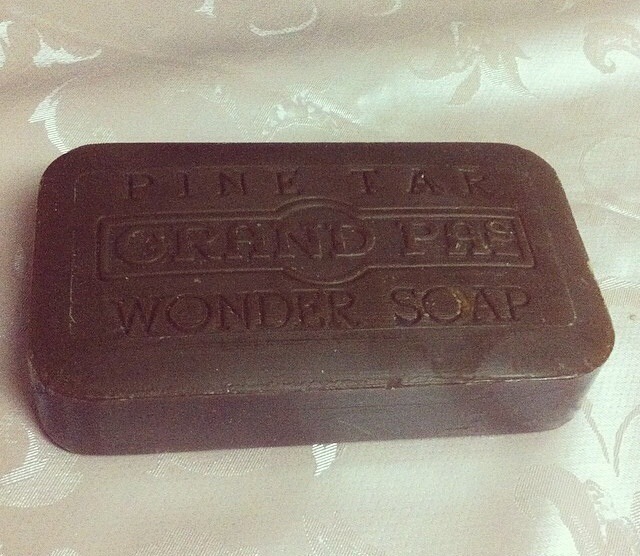 I ordered online Grandpa’s Pine Tar Wonder Soap. It is sold in the United States but I was lucky to find an online seller in Manila. This is a miracle soap. A lot of PUPPS sufferer are raving about this soap. And they are right! I used with a good loofah sponge. You will smell like camp fire after bathing and your bathroom floor might have blackish tinge but it will relieve you of your rashes. Within 2 days, the rashes went flat and my skin became smoother. It also gradually lightened my dark spots from the rash. 4. Bathe twice to thrice a day with cold or room temperature water. Avoid using very hot water which will only aggravate the condition. 6. 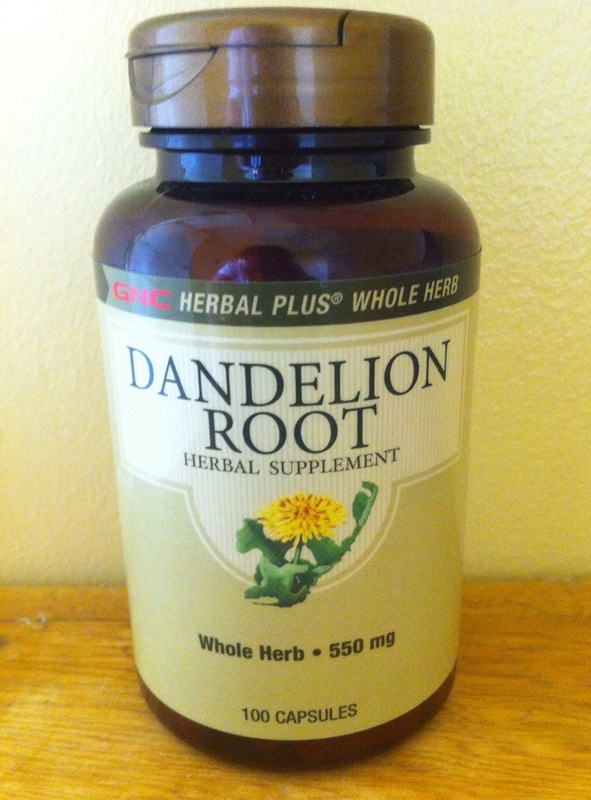 Take Dandelion Root capsules or drink Dandelion Root tea. This is best to consult your doctor first before trying this. Some take 3 capsules thrice a day. But I just took two capsules twice a day. If you are going to use tea, drink one cup 2x a day. 7. Apply Virgin Coconut Oil allover skin. I always hated the smell of VCO or lana. But it was the only thing that helped me during the worst stage of my PUPPS. 8. Try not to scratch. Ok, I didn’t follow this but if you can, don’t because your skin will be spared from ugly dark spots of extreme scratching. Believe me, not my skin have so many dots, my niece would say she can connect the dots. I even apply concealer or foundation on my skin because I am embarrassed of how it looks. 1. Apply cold compress on the rashes when its itchy. 2. Use antihistamines. Check with your doctor what is safe for you to use. 3. Use steroid creams or tablets. Check with your doctor what is safe for you to use. 4. Apply Calamine lotion on rash. 5. Drink Nettle Leaf Tea or take nettle leaf capsules. 6. Bathe with Epsom Salts. 7. Use oatmeal soap and lotion. I am happy to say after 1-2 weeks, my rashes got better. I still have itchiness here and there, mostly probably from the stretch marks and dry skin of pregnancy. But the PUPPS never came back, thank God. I do hope that no one will experience PUPPS. It was an excruciating experience. Before trying any of this, please consult your doctor. I can’t wait to see my little boy soon. I do hope it will be this week. 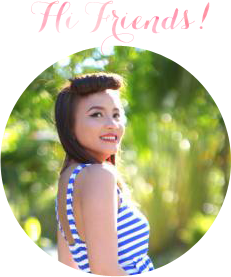 Happy pregnancy to preggy mommies out there! Hello, I also had PUPPS rashes in my 38th week, and couldn’t help scratch. Now I have delivered my baby, the rashes have died down, but I found scabs and dark spots all over my body probably due to scratching. Sounds like you have experienced the same, so I am wondering how you are doing now, have the dark spots disappeared over time? Is there any good way to help skin heal? Many thanks in advance! I got the PUPPS exactly at 38th weeks. I am currently pregnant again now and carrying a boy. Praying really hard there will be no appearance of PUPPS. I am so sorry to hear you got PUPPS too. It is such a horrible ordeal. The spot lightened a bit using exfoliating soap and loofahs or scrubs. Still have some mild hyperpigmentation but then again I also have keratosis pilaris. Exfoliation, sunscreen and lightening lotion will help overtime.. All the best to you!